By Prof. Brian Tice, B.Sci., M.Sci. There has been at least a thousand years of debate over the meaning of Yeshua’s response to the Petrine Confession (Matthew 16:13-20). First, a history of interpretation is in order. 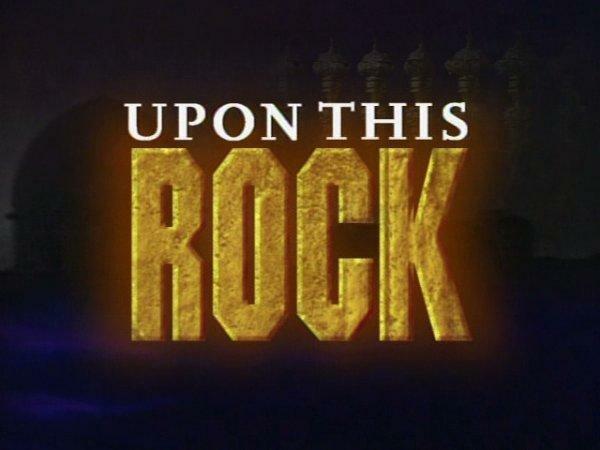 In Catholic thought, it is Peter himself who is the rock, and the institution built upon that rock is the Roman Church. Eastern Orthodoxy offers a similar understanding, but insists that the institution built upon Peter is the Orthodox Church. Protestantism has argued from at least as far back as the Reformation that the rock is not Peter the person, but rather his statement that Yeshua is the Messiah and Son of the Living G-d (Matthew 16:16). This position expands the institution beyond one particular denomination and identifies the “ἐκκλησία” as the Universal Body of Believers. Biblicists have maintained that given the practice of the Septuagint (LXX) translators to render the Hebrew words קָהָל and קְהִלָּה with the Greek ἐκκλησία, a more faithful translation of the latter would be to anchor it to the historical understanding of the Hebrew terms as meaning “Israel,” i.e. an entity which had been in existence long before Matthew 16 was penned… centuries before. As Koine Greek does not have verbal tense, the future tense does not need to be assumed in the verb, and it can properly be read as an ongoing action begun at some moment in the distant past. Upon reading this, I turned immediately to a codex reportedly copied from a manuscript dated to 165 CE, i.e. the Khabouris Codex. What I found there aligns with Dr. Blizzard’s statement. The word so often translated “church” is actually the Aramaic equivalent to עֵדָה (edah) — ܥܕܬܝ. 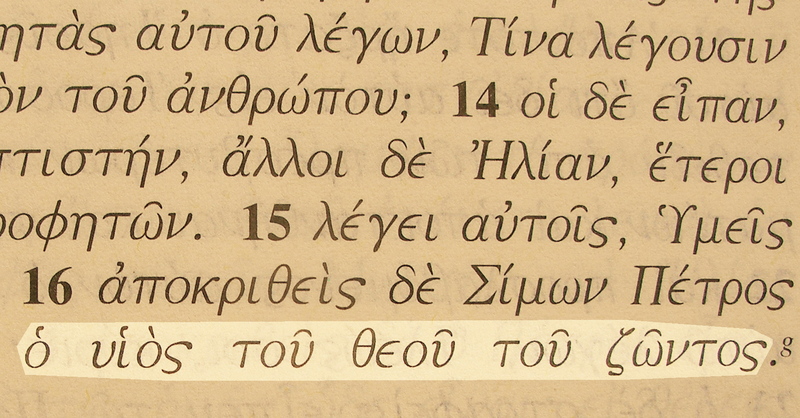 It is important to note that this word is also translated by the Greek ἐκκλησία in LXX. This shift does not move us a great distance from the Protestant reading, but it does remove the problematic word “church” (derived from the Latin “circus”). The appeal of this rendering is that it is Gentile-inclusive without being anti-Semitic, maintaining the Bible’s incontrovertible Israel-centricity in affirming the same understanding of the Olive Tree held by the Apostle Sha’ul (Paul). 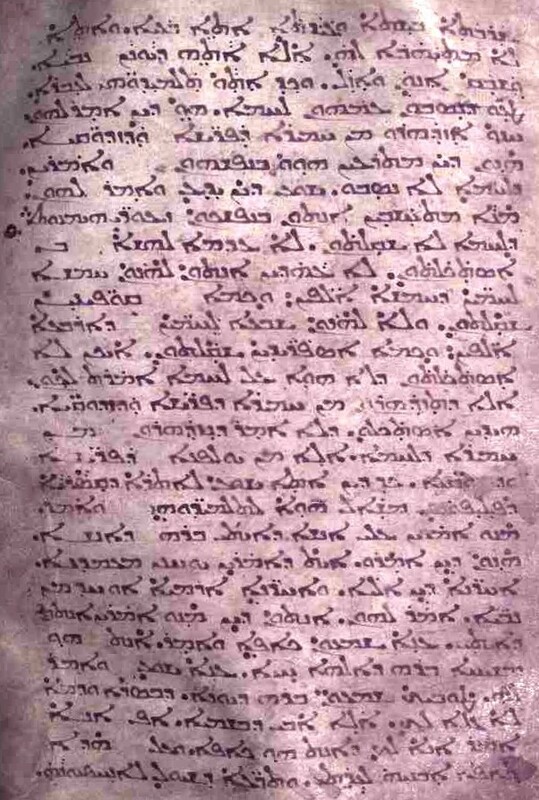 The confirmation found in the Peshitta (Khabouris Codex), an ancient witness, establishes that this view could not be deemed a wretched NDU (new doctrinal understanding). It seems to dodge all the usual bullets and harmonize the text in view with the Whole Counsel of Scripture. Baruch HaShem! About Prof. Brian Tice, B.Sci., M.Sci. Brian Tice is currently a Hebraica research scholar and education facilitator with Manuscript Research Group in Michigan and a Jewish Studies and Ancient Languages professor with MJR Yeshiva. He received his rabbinical semikha in 2000. His formal education includes studies in Music and Modern Languages (Kalamazoo Valley Community College); Bible, Youth Ministry, and Ancient Languages (Cornerstone University); Divinity and Practical Ministry (Grand Rapids Theological Seminary); Higher Education and Classical Hebrew Andragogy (Purdue University Global/Kaplan); and Jewish Studies (Tel Aviv University/Coursera)... culminating in B.Sci. and M.Sci. degrees. Professor Tice has been an avid volunteer with Little Mary's Hospitality House critically-ill children's camp, Habitat for Humanity, Boys & Girls Clubs of Greater Kalamazoo, several schools, and several homeless outreach ministries. In 2001, he was awarded a Governor's Commendation for service to the community and extraordinary academic contributions. View all posts by Prof. Brian Tice, B.Sci., M.Sci. This entry was posted on Monday, October 27th, 2014 at 6:45 am	and tagged with "on this rock", edah, ekklesia, Khabouris Codex, Matthew 16:18, Petrine Confession, qahal, qehillah, ܐܒܢܝܗ ܠܥܕܬܝ and posted in Exegesis, Hermeneutics. You can follow any responses to this entry through the RSS 2.0 feed. I have been looking into this subject for a while and I believe Professor Tice’s article says it better than I could. I think there are still some interpretation details that need to be addressed – Dr. Heiser says “the rock” refers to Mt. Hermon and has to do with spiritual warfare matters. As far as the best rendering of ekklesia in this verse, this article addresses it well.